The SprayGuard is specifically designed to safely contain heat exchanger hydroblast wastewater with or without the bundle being pulled. The system will fully capture wastewater and divert it to be treated. 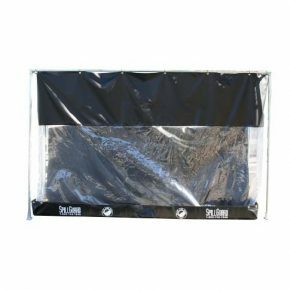 Rain for Rent’s standard Spillguard is combined with a 5’x5’ SprayGuard operator shelter and berm to safely clean heat exchangers and can be set up in minutes on standard scaffolding. Footprint 28"x 11' x 7"